Thank you for being part of our working circle of 2016: either recording, editing, mixing, mastering for your project, doing sound reinforcement at your event and/or networking with you at any level. Thank you for keeping us busy and working in the music business. Wishing you health, joy and a prosperous 2017! 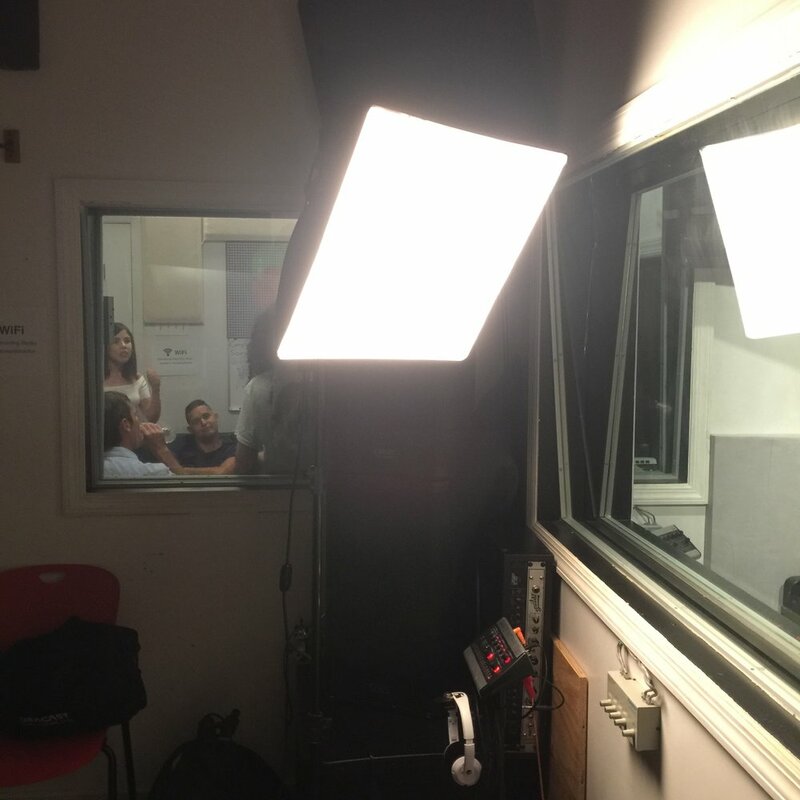 Gracias por ser parte de nuestro circulo de trabajo en el 2016: halla sido grabando, editando, mezclando, masterizando tu proyecto, haciendo sonido en vivo en tu evento y/o simplemente intercambiando ideas en algún momento. Gracias por mantenernos ocupados y trabajando en el negocio de la música. Deseándote salud, felicidad y un 2017 próspero! The engineer Kamilo singing the lyrics from the phone. 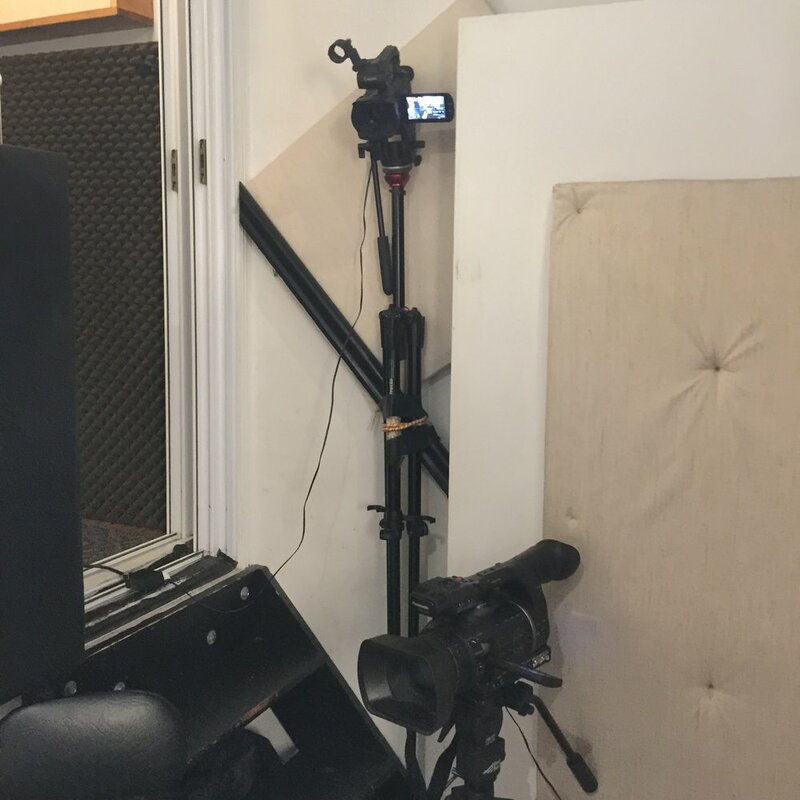 The PreSonus Monitor Station V2 was used to link to the headphone mixer in the piano room. The music was assigned to the Yamanah 02R96 mixer channels (1-2) labeled as A9-A10 (paired & panned Left & Right) and the voice to channel 3 (labeled as A11). Only recorded one take, there was no time to go over another take, no mixing, no rough mix. Just recording. Voice recording of some hip hop songs. listening to the song before heading to the mic to start recording. Mic set up in the piano room. Mixing, EQ drums on a song. decided to get an angle from the control room. a handheld camera from the drum room to get close up on the pianist's hands. getting a different angle inside the piano room of the piano and over the shoulder angle. 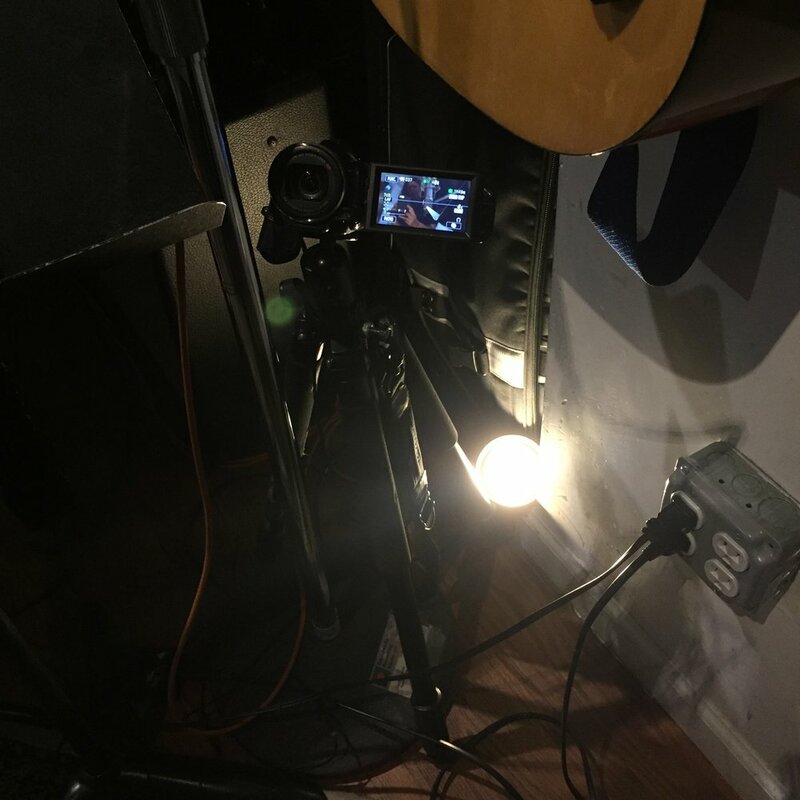 Mixed one song that was recorded this week and last minute realized that the voice needed to be recorded at some moments in the song to accentuate some phrases. During the mixing the, engineer added some effects to capture the idea based on how the singer described her concept. listening to the mix to figure if the effects enhanced the song. Piano and keyboard in the piano room, alternating between both. Updating the Black Magic ATEM software to the last version. We were having issues with the computer recognizing the ATEM switcher. The laptops were not seeing the ATEM control, we thought it had to do with the IP addresses. But everything looked correct. Although, the update was needed it didn't resolve the problem. We realize that we couldn't have the Wi-Fi able after selecting the ATEM network. We also practice recording piano and editing it the several takes into one "correct flawless take". We were all super tired so we stopped and decided to continue another day. connecting to the ATEM switcher to update and recognizing it. 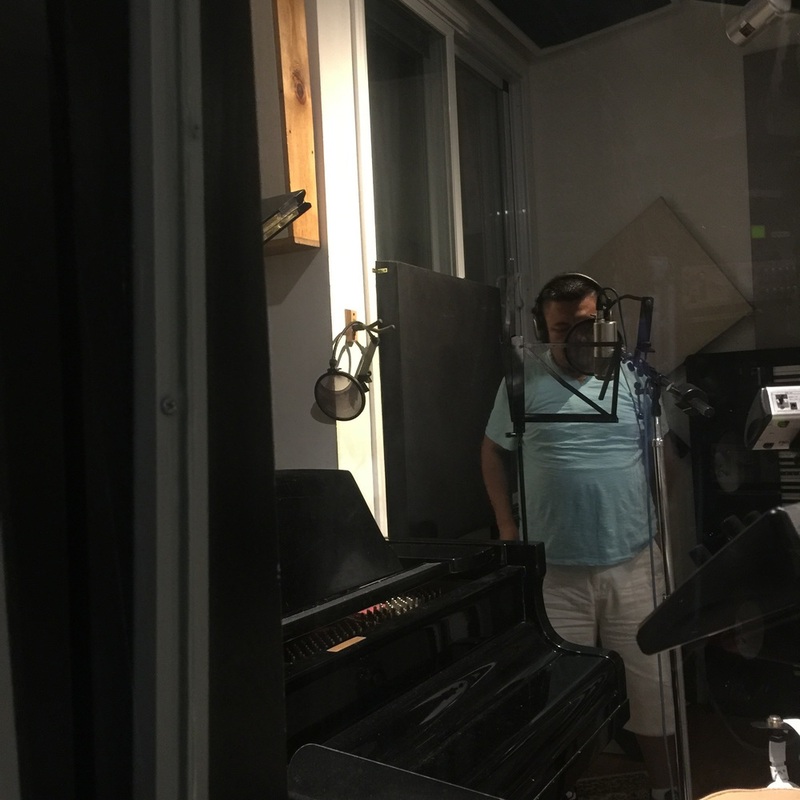 The vocalist was accompanied by a long time vocal coach to guide the vocal recording. After the 1st draft of the 15 songs, they were sent to the project's producer to listen, review and take notes. Today's mixing session was based on those notes. Both producer and mixer managed to mix and mastered all songs. 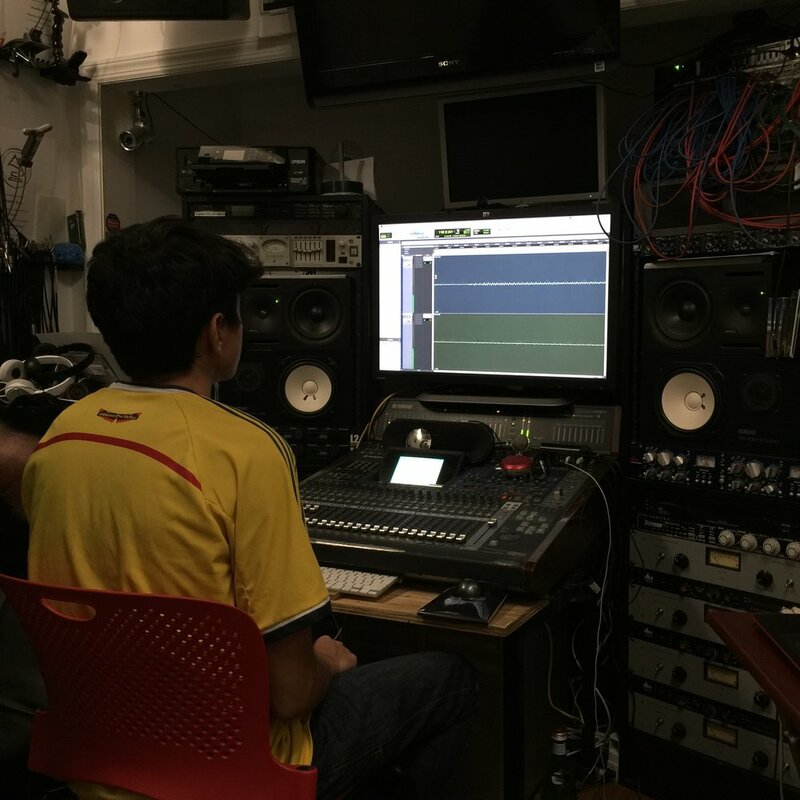 Recording voice for song in Cumbia style in collaboration with music producer oversees.